Home All Articles Who’ll take the last remaining F1 seats? The 2013 grid is shaping up nicely. Only two seats – one for definate at Caterham, one probably at Force India – are left for drivers to fill and just like the action on the track, it’s pretty competitive. But, who’s in line for them. We’ve had a brief look round the market here in the Sett, and we’ve settled on a few for each which we’ll run through for you. Ready? Let’s go. The saying “three into two doesn’t go” fits the Force India situation better than most. The performances of Paul Di Resta over the past two seasons would warrant at least a link with a top team, which he did with both Mercedes and McLaren over the first part of 2012, but he passed up for Lewis Hamilton (justified) and Sergio Perez (again, probably justified) respectively. But, he’s done enough to be all but confirmed at the Silverstone based team, so expect him to stay. 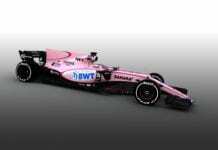 That just leaves the other seat, and it boils down to two names; Adrian Sutil, and Jule Bianchi. Sutil is a conundrum. He knows the team having driven for them through two guises since Eddie Jordan sold up. Although he was a tad lacklustre in 2011, he still ended up 9th in the points standings, so there’s form. And he’s free to travel the globe again thanks to his little – ahem – “misdemeanor” in Chinese nightclub. Short-wise, he’s a dead cert. But then there’s the long game, and that’s where Jules Bianchi’s strengths come to the fore. 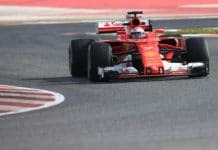 Although he hasn’t raced in F1 yet, his experience being limited to a few practice sessions, the Frenchman is part of the Ferrari driving academy. That’s a very important fact to point out as with 2014 looming any leverage in the engine market will be worth it’s weight in gold. 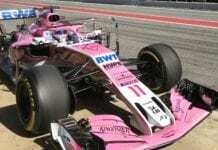 Force India currently have Mercedes powerplants, but giving one of their young drivers into a seat a season could secure some cut price Ferrari motors when the new engines break cover. It’s a gamble as Bianchi doesn’t bring the necessary experienve like Sutil, but he does hold some interesting cards when it comes to keeping Force India competitive in the not so distant future. “Money, money, money” sang Abba. It’s apt in this context as it’s exactly that which will determine whoever ends up in British Racing Green in 2013. Anyone who saw Heikki’s interview after qualifying in Brazil knows that the Finn may be on his way out of the sport. It’s fast becoming appararent that a driver needs backing to make it onto the far end of the F1 grid. The days of a driver dropping down to well paid midfield job are numbered. Vitaly Petrov performed some heroics in the Brazilian finale to haul Caterham over the line to 10th. The $10m of sponsorship he brought with him helped him out massively; let’s face it, it cost Jarno Trulli a seat during testing (whereabouts of the Italian still unknown, by the way). Wait a minute though, who’s that we see on the horizon? Why, it’s Bruno Senna and his sponsorship package. That’s right, it’s all boiling down to who can bring the biggest pot of gold to Caterham’s coffers ready for the start of the season. In our view, Vitaly has the upper hand as the upcoming Russian Grand Prix in Sochi in 2014 will need a home hero, even though he’ll be at the tail end of the midfield. We just can’t shake the Bruno link though, as not only is the Brazilian media savvy and proved he can consistently score points, he also isn’t afraid to show how much money he’s willing to throw around to get exposure. Take the fact he changed the iconic “Senna” yellow, green and blue helmet design for Gillette orange and white, for example. Saying that about both, we could be wrong. Giedo Van Der Garde has been flirting with an F1 drive for five seasons now. He could steal in and take it under both their noses. Next articleF1 Racestars gets even better!